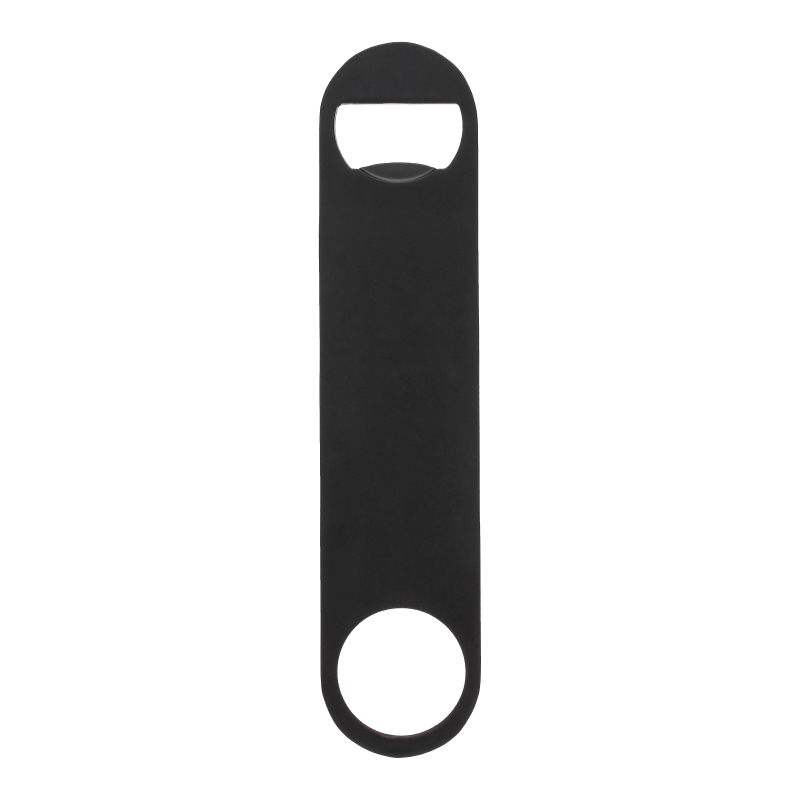 Product Details: Bartender professional paddle style speed opener in matte black finish. 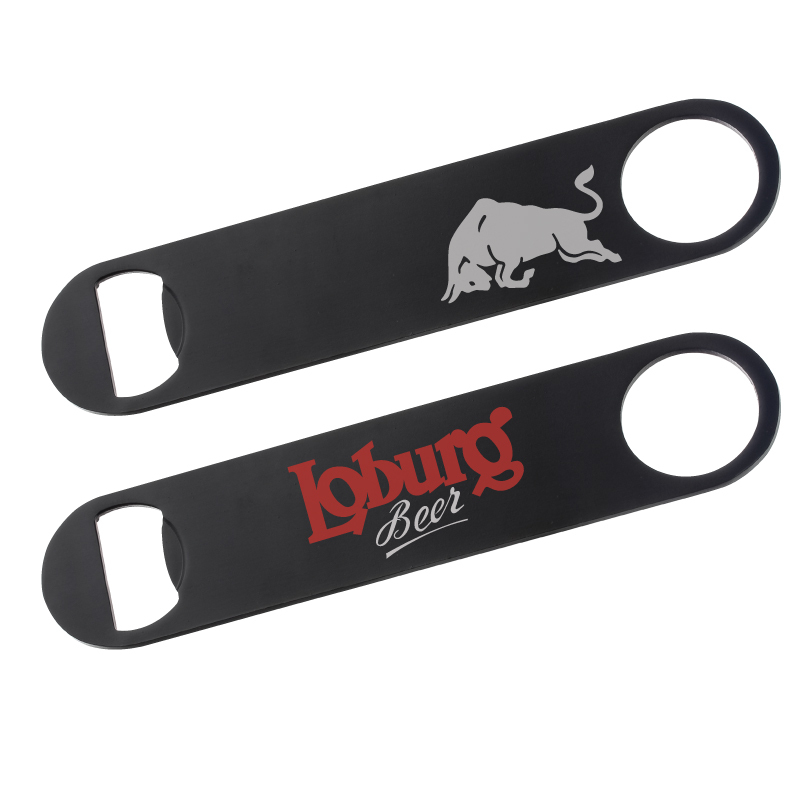 This bar blade is the only bar wrench you'll need! Don't settle for other imitations. Built to stand against the harshest conditions. Heavy 14 gauge stainless steel. Inquire for engraving, engraves silver. Item Size: 7" x 1 1/2"
Approx. Imprint Size: 1 1/8" x 3 1/2"
Carton Dimensions: 10" x 11" x 6"